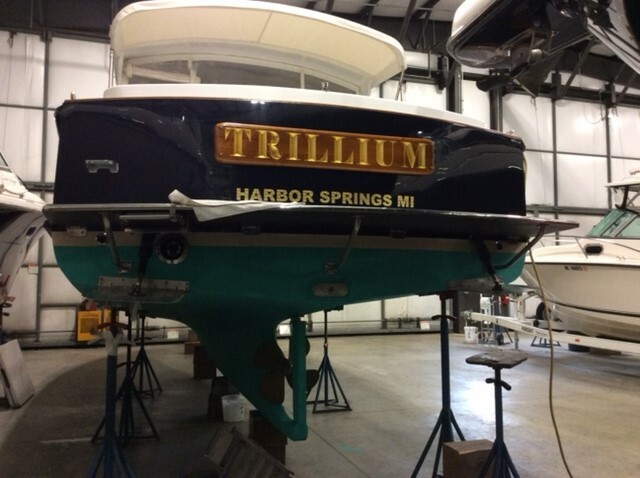 Built on the renowned Jarvis Newman 30 hull, Trillium is a custom Endurance 30 built by Ted Hood's Tekad Marine. 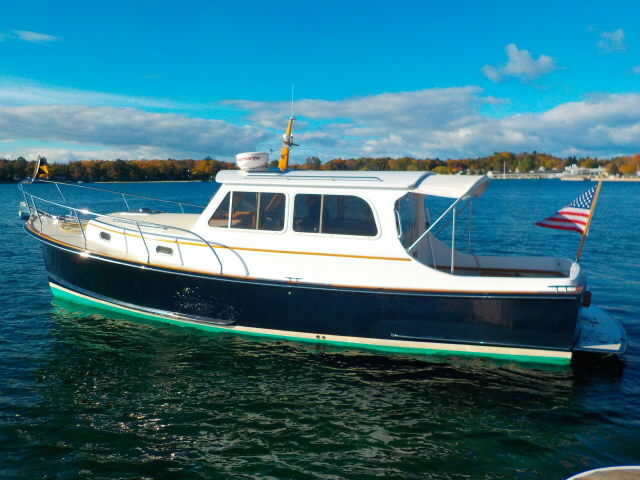 The pilot house and lower cabin is classic Ted Hood thinking with generous storage, door openings, etc. 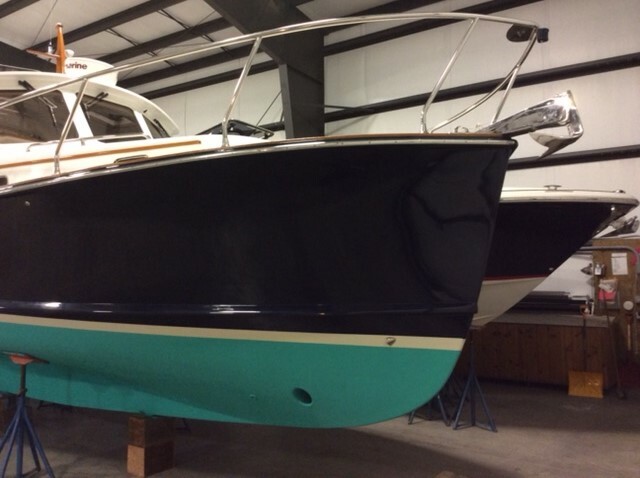 This is truly a comfortable 30 footer. 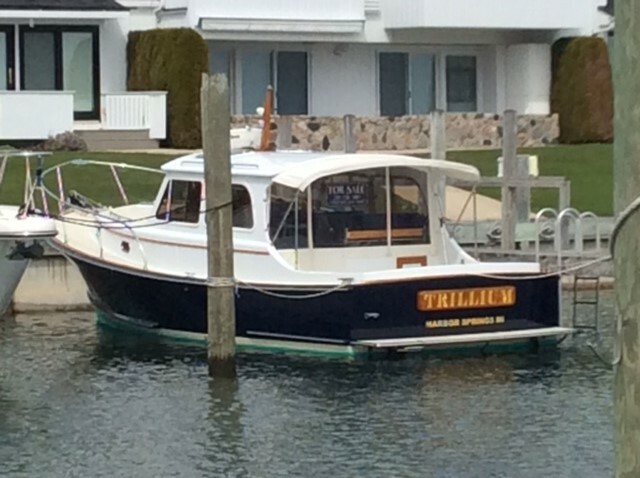 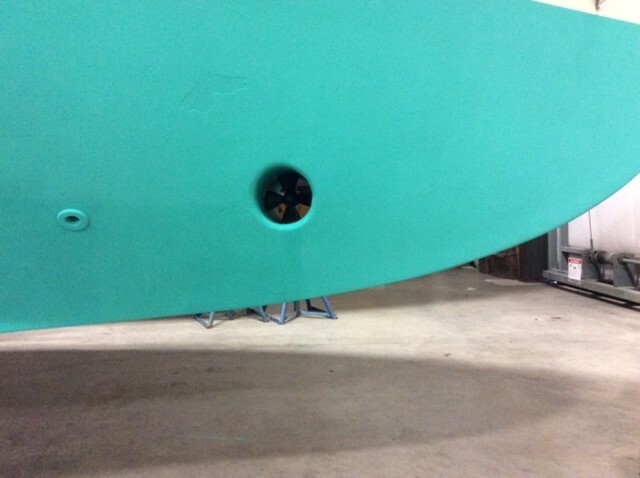 PLEASE CONTACT US FOR THE EXACT LOCATION OF THIS BOAT. 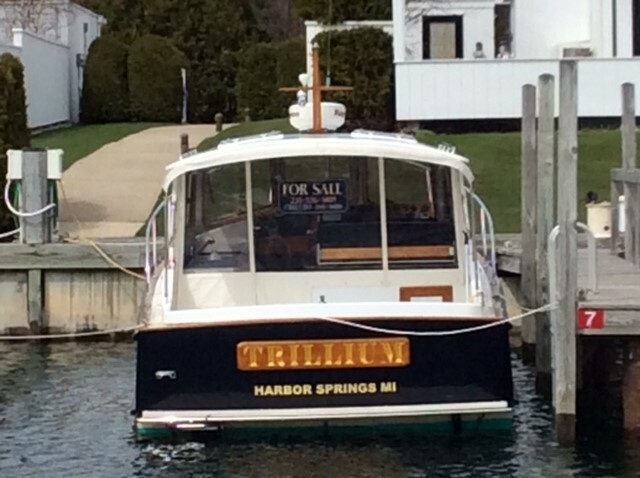 IT IS ON DISPLAY AND MAY MOVE AMONG ALL OF OUR NORTHERN MICHIGAN LOCATIONS. 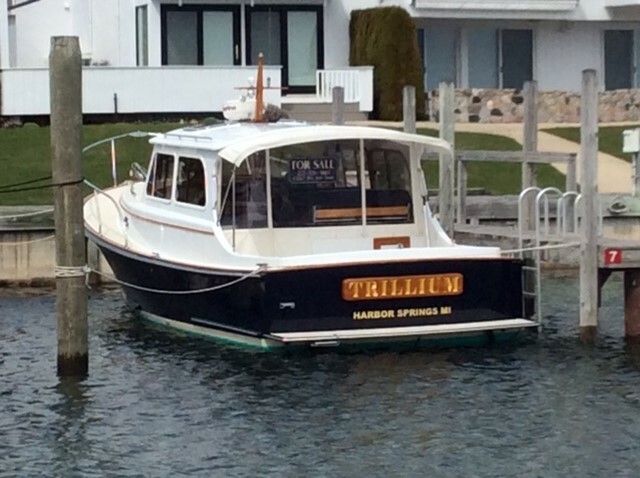 Trillium has seaworthy, economical semi-planning design. 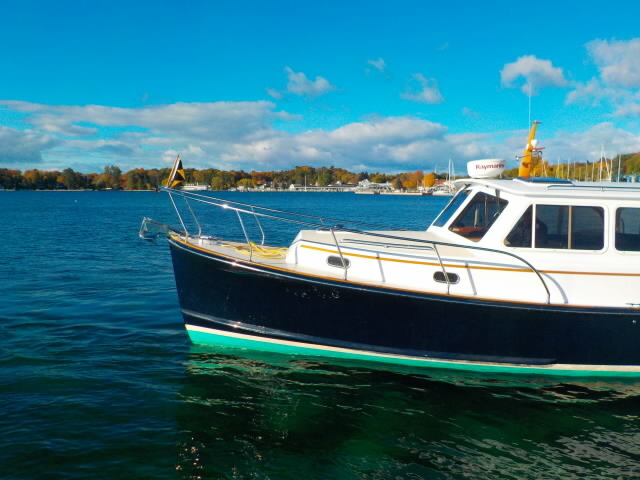 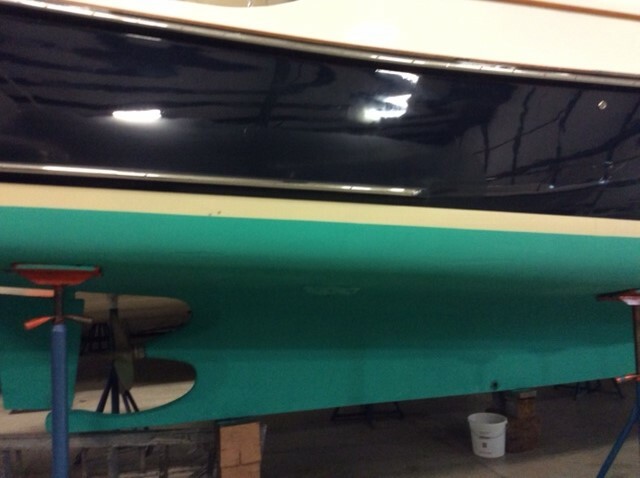 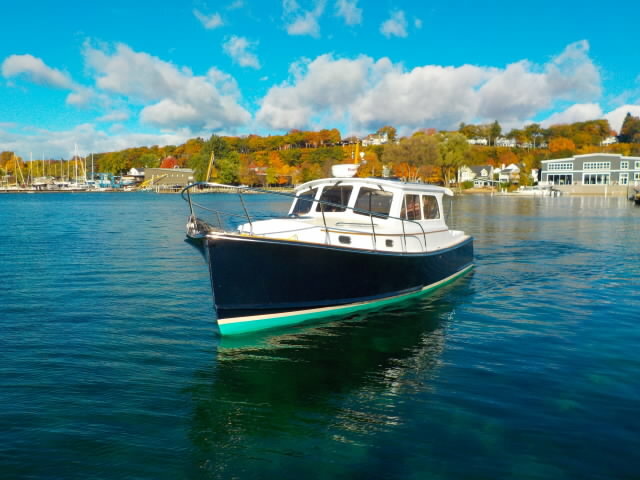 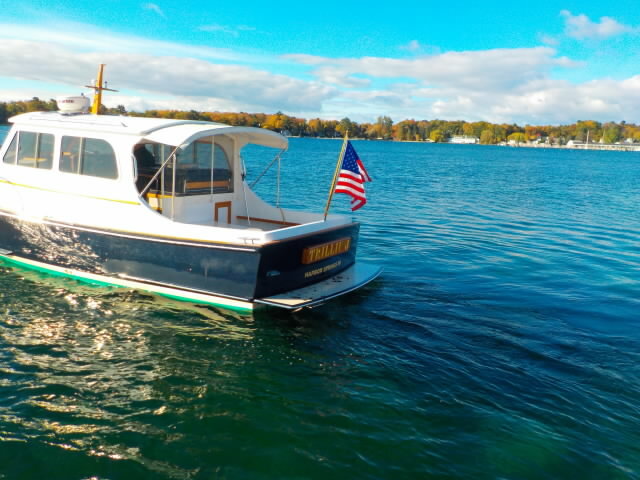 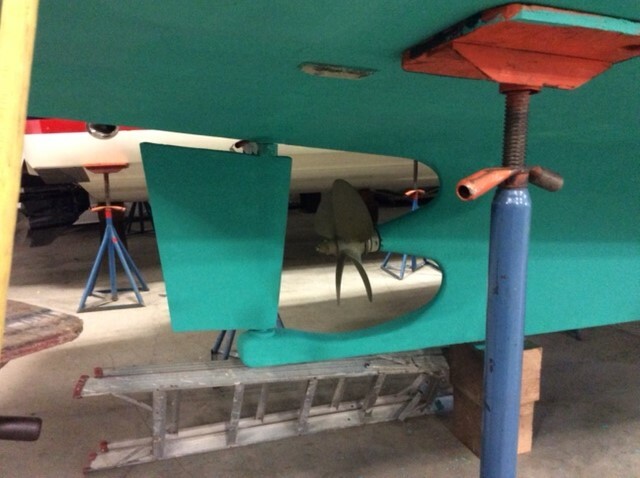 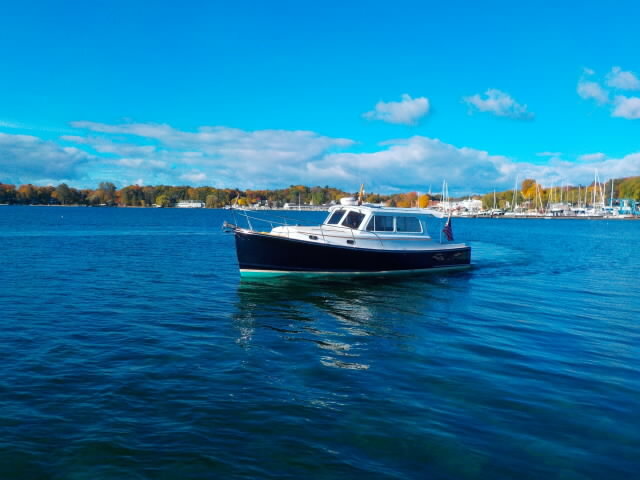 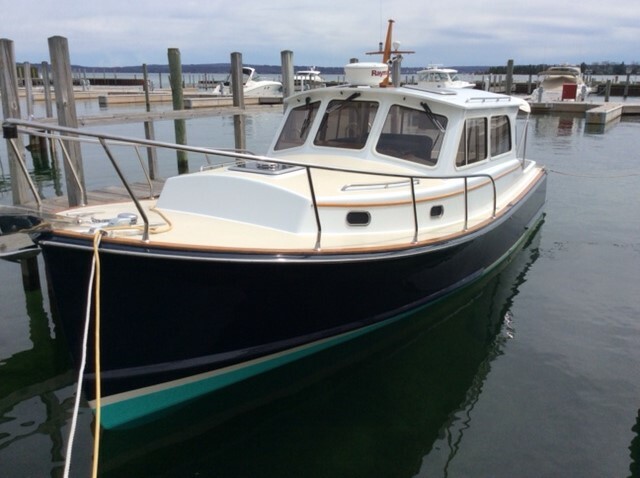 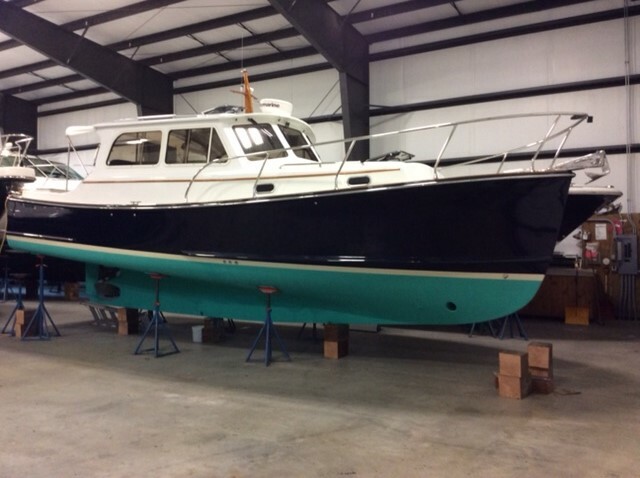 Her blue topsides give her hull classic appeal. 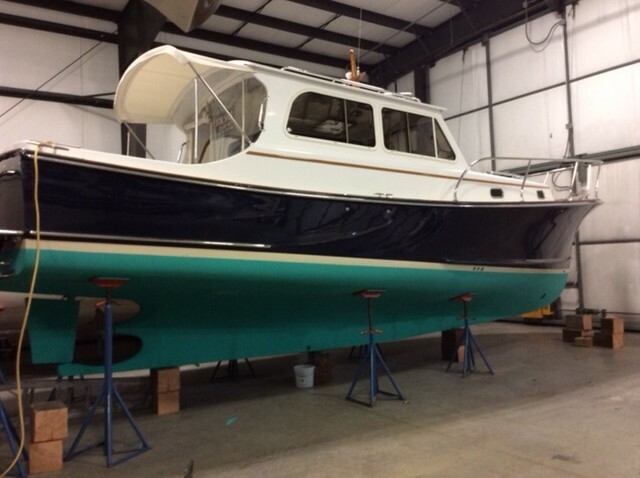 She has a fiberglass swim platform with ladder for easy access in and out of the water. 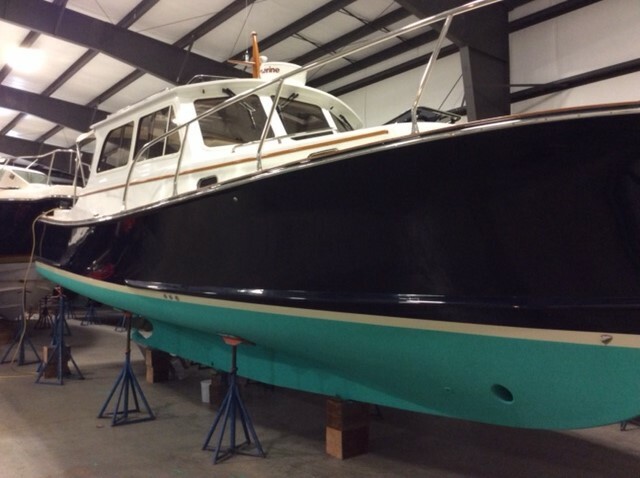 Over six feet of headroom down below, she is quite spacious for her size. 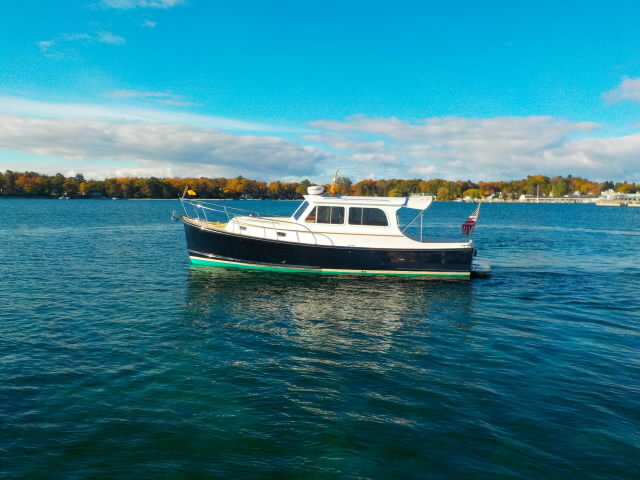 The forward vee berth is room, with abundant storage beneath. 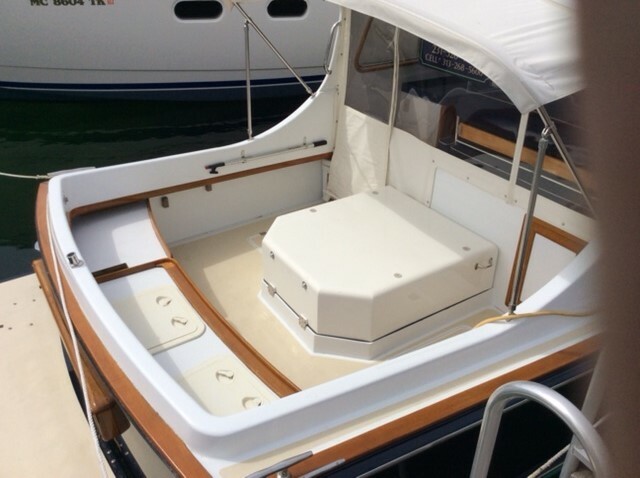 Aft of the berth, you will find a hanging locker to starboard just forward of the head. 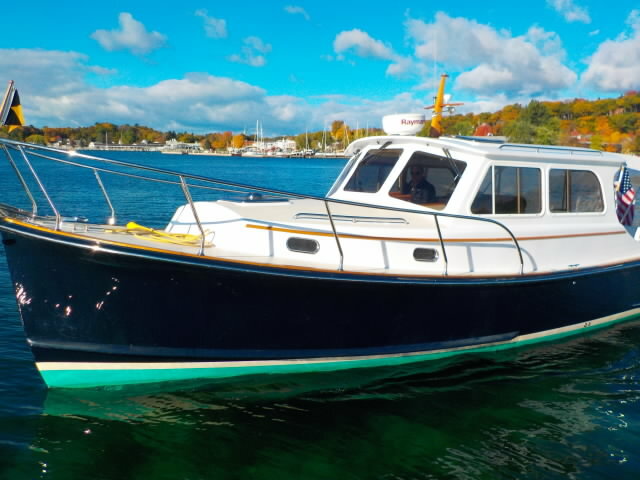 To port is a large settee with plenty of storage. 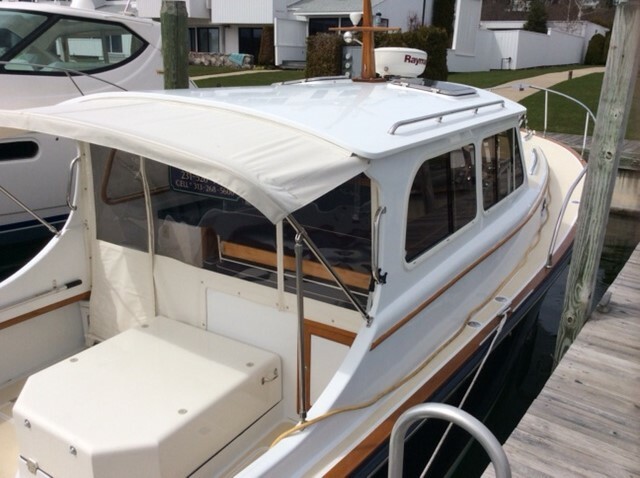 Nice overnight amenities for 3 adults. 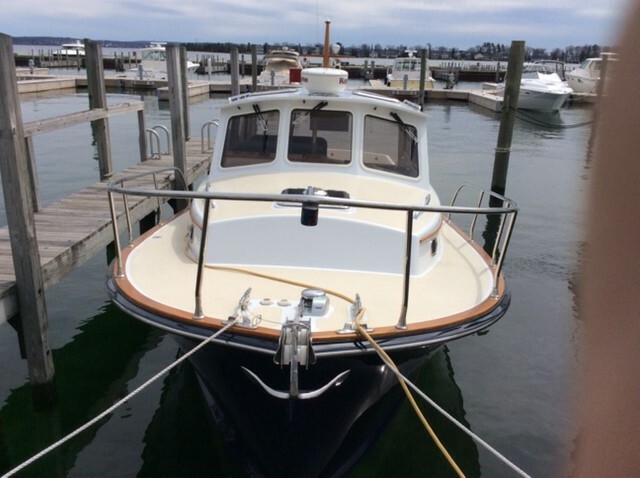 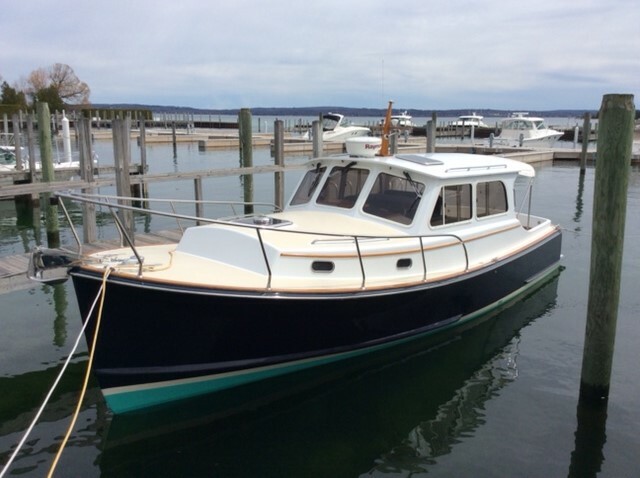 Her cockpit is large & deep, w/custom canvas & eisenglass backdrop to close things off in the pilothouse when the weather does foul. 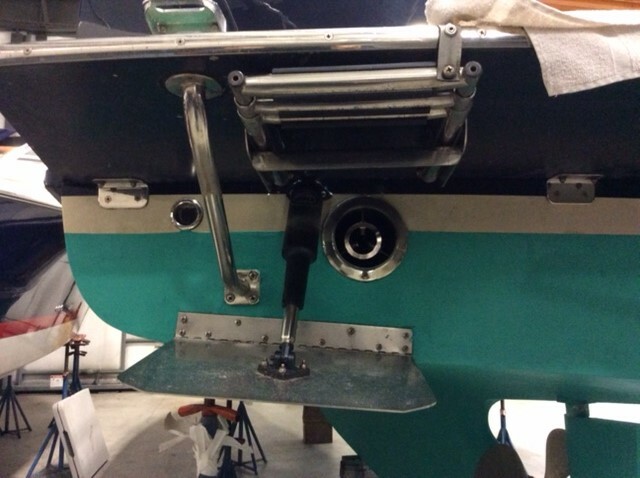 The helm station is hinged to provide clear access to all wiring & electronics.